Vacations are a great way of relaxation and getting out of the monotonous schedule. Vacation with family and friends gives you some time off and you are able to de – stress. Nowadays most of the people have started to opt for travel packages for different places they wish to go such as Leh Ladakh packages. Comprehensive travel packages provides customers with so many benefits, hence these are much better to opt for rather than going on your own. Let us understand few of the benefits travel packages offer us. 1. Comprehensive Packages: These travel packages usually include everything from sightseeing to hotel accommodation and transfer via flight and car transfer within the city. Hence, you get a lot many features. 2. Budget friendly: When you are taking so many facilities from one particular travel operator, mostly customers get a lot of discounts and deals while booking. This is because you get lot many services deals on your flight transfer and hotel accommodation. 3. Personal Travel consultant: Many of the tour operators provide you with personal travel consultants. This can help you in case you face any problem during your travel journey. They will share the personal travel consultant contact details with you, so that you can be in touch with them whenever needed. 4. Festive deals saves you more: The festive deals helps you save more on your Ladakh travel packages. Most of the travel companies provide great deals during festivals and other promotions. These are just some of the many benefits of travel packages and due to these reasons customers prefer to book their packages from tour and travel operators. Customers can also check their website online for further details related to any packages which they want to know more about. So book your packages today! Ladakh is located in the sheltered Trans-Himalayan region, it has become very suitable to travel to this part of the world. Globetrotters and tourists from every corner of the earth, visit this wonderful hill station and experience an enchanting holiday. A trip to Leh Ladakh has a lot to provide to you. Ladakh can be paralleled only to paradise when it comes to natural beauty. The place is overrun with glaciers, bustling streams, snow-capped mountains and pouring rivers. The picturesque locales are so heart-rending that many movies are being shot in Ladakh these days. In terms of postcard seamless beauty, one can say that it’s not just an extra hill station. It’s a haven! The second reason why you should plan Leh Ladakh Trips are adventure games. Ladakh is called the ‘adventure country’ of India because the abode serves a cocktail of a string of adrenaline-pumping sports. Trekking, river rafting, rock climbing, paragliding, mountain cycling, angling- what more can you ask for. Jeep safari is another fascinating feature that charms the adventure junkies! Thirdly, Ladakh is also a mystical destination as the place is swarming with Tibetan monasteries, stupas and Buddhist monks. Hemis Monastery, Spituk Monastery and Thikse Monastery are some of the more popular ones. Fascinatingly, Ladakh displays its multicultural persona by presenting Muslim mosques and Hindu temples as well. Jama Masjid is a must-visit under the Leh Ladakh trips. There are number of Ladakh hotels where you can settle in. The hotels are all clean & well-maintained and come in a huge range. You can easily search the hotel of your choice. However, it will be practical to book Ladakh hotels in advance under the Leh Ladakh trips to avoid last-minute annoyance. Ladakh is not encouraging for tourism or sightseeing throughout winter since the place becomes icy cold. Hence, the best time to explore Leh Ladakh Places is between May-September (summer season). But if you do take a visit during winter, you will be welcomed by the winter sports like skiing. So don’t delay, worked on Leh Ladakh trip by today to explore lots of adventure and thrill. The roads of Leh and Ladakh are known as the best roads in the entire world for bike riding, as they as popularly known as the “best motorable roads in the world”. 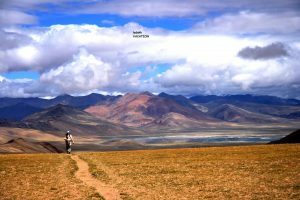 If you are also planning to go with friends on a bike trip to Ladakh, you must be aware of the best available Leh Ladakh bike tour packages. Delhi – Jammu: If you are starting from the capital city of India, the first road you take is from Delhi to Jammu which covers a distance of about 600 Kms. Travelling by road, the journey can be completed within 10 hours. Jammu – Srinagar: During your next path, you will cover a distance of 300 Kms and a time of approximately seven hours to cover this distance. Overnight stay at Srinagar for some rest. Srinagar – Kargil: The next journey of about 203 Kms is an awesome bike ride where you pass the Zojila Pass Drass. You can also stay overnight in Kargil to take rest. 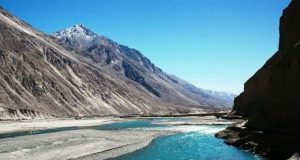 Kargil – Leh: Enjoy the ride form Kargil to Leh by exploring the beauty of Ladakh. You can witness Lamayuru, Phey, Alchi. The journey takes about 4 hours covering a stretch of 210 Kms. Leh: After reaching Leh, you can spend a day here with friends, and the place offers some beautiful sightseeing locations. Buddhist monastries are worth a visit when in Leh & don’t forget to pay a visit to the ‘moonland hills’. Leh – Hunder: Reach the Khardung La Pass by travelling a distance of 120 Kms and later reach Hunder. Now you travel back to Delhi by making your stops in between at Pangong, Sarchu and Manali. Ladakh is a beautiful place to visit and many of its sightseeing beautifies is worth a visit. If you are planning to visit the beautiful area, then you should be aware of the best attraction Ladakh has to offer. There are many Ladakh travel packages through which you can see some of the best sightseeing places of the area. Here is a list of some of the best sightseeing places in Ladakh. Popularly known as the ‘Valley of Flowers’ and the view of the valley is breath taking. During your travel to the Nubra Valley is via the Khardung La Pass, which is known as the highest motorable road in the world. The Zanskar Valley is a place where close to 14000 Buddhists reside. Presence of lofty mountains and gorges makes the view beautiful, however the gorges are closed for eight months because of heavy snowfall in the area. If you want to witness the largest monastic organization, Hemis Monastery is the place to pay a visit. The architecture here is of Tibetan Style, and the colored shades of the landscape look beautiful. You can also visit the Hemis National Park, which is located in the vicinity of the Hemis Monastery. One can also spot endangered species like Snow Leopard in the Hemis National Park. Apart from these, the area of Ladakh is also well known for the best for road trips where you can take your bike with your friends and enjoy the scenic beauty while you drive. If you want to know more about Ladakh travel packages, you can get in touch with a professional travel and tour operators who will be happy to form comprehensive packages. The Pangong Lake close to Leh is really another name for sheer, pristine, celestial bliss, one look at the lake will make you accept this. No wonder, there are so many movies that has captured the scintillating lake and so many tourists come year after year, season after season to drink in the eternal beauty. While it is in all its voluptuous glory when it ebbs and flow in the summers, the frozen look it has during winters is equally captivating and is a classic example of beauty has no seasons. Tourists, who book Ladakh tour packages, also have in their itineraries a visit to the much talked about lake. From Leh, after a picturesque drive that takes five hours, you will see the vast expanse of the lake and its glory. This Pangong Lake quiet like its name which means long, not so broad and mesmerizing is really enchanting. Flowing in two countries – India and Tibet, this lake is becoming very popular as one of South Asia’s primary wetlands. Trekking in Ladakh is also quite famous amidst the tourists who come here and apart from tourists; there are also dedicated trekkers who come to the region on pre-planned trips. They chalk out clear plans, get into training well in advance and then gather here to trek up the challenging mountains. This trekking other than being a physical accelerator also serves the purpose of opening up new avenues in life. It gives us a new feeling of hope and rejuvenates the soul creating positive energy which is much needed to face the challenges today. Most of the Leh Ladakh tours packages do have an option of trekking activity and in case, you are keen for more, you can then talk to the executives who will be happy to provide details about dedicated trekking packages. In general Trekking in Ladakh is done as part of the tourist as well as an individual activity and the tourists can get more information related to this depending on the time on their hands, the money they have to indulge in and their interests in the respective field.